SmartCup is demonstrating how operators can offer patrons handcrafted tea lattes of their choice utilizing premium whole leaf tea. The XPress lid presses the tea with a mesh press that allows more of the tea to be in direct contact while brewing, versus other methods. 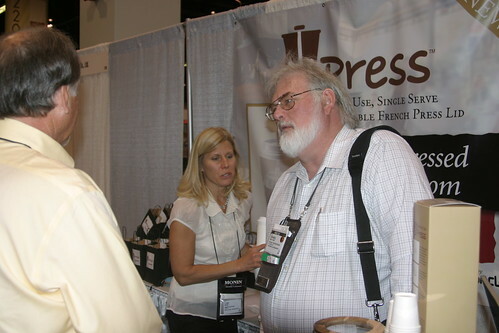 Using a press enhances and maintains the latte’s tea flavor throughout consumption. XPress lid, combined with quality ingredients, delivers a premium flavor in each cup. 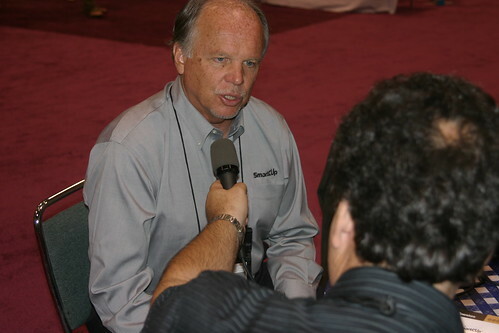 Bob Koffee takes 10 minutes with Kent Rhodes, SmartCup CEO, to recap 2010 and discuss the opportunities and challenges for the firm in 2011. Rhodes discusses how the XPress lid opens up new business for operators and roasters, which provides more choice in quality, selection and price. Dan Bolton, Editor in Chief of Specialty Coffee Retailer, discusses XPress Lid with Kent Rhodes, CEO of SmartCup. The XPress lid is ideal for coffee and tea. Specialty Coffee Retailer is a USA magazine covering Food and Beverage Business. This magazine provides timely, relevant, and useful information about the profitable operation of a coffeehouse, coffee bar, or coffee cart. This magazine is owned by M2Media360.